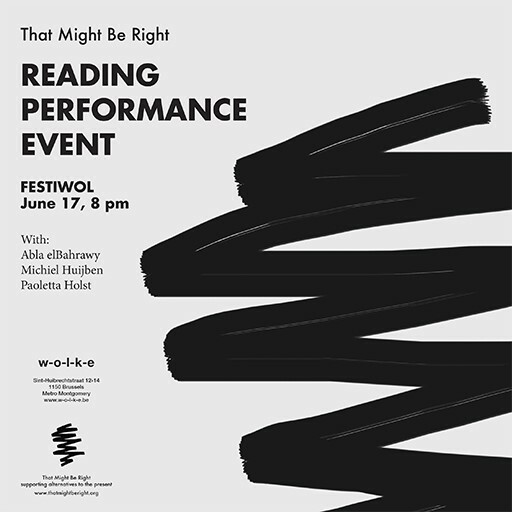 That Might Be Right supported an evening of reading performances with Abla elBahrawy, Michiel Huijben and Paoletta Holst during FESTIWOL at experimental art space W-o-l-k-e in Brussels. ABLA ELBAHRAWY – (abla.bahrawy@gmail.com) Abla’s practice is concerned with criticalities in the field of archaeology and the grey zones that connects them with architecture, art, and history making. She is interested in the concepts of failure, chance, destruction, and speculation, whether systematic or not, and in the adoption of those concepts as adequate processes of creation. Her long term project, A story of Intentional Errors, is an attempt to intertwine anecdotes about ambiguities of the practice of archaeology and knowledge creation, through presenting a collection of chosen objects that have fallen down. 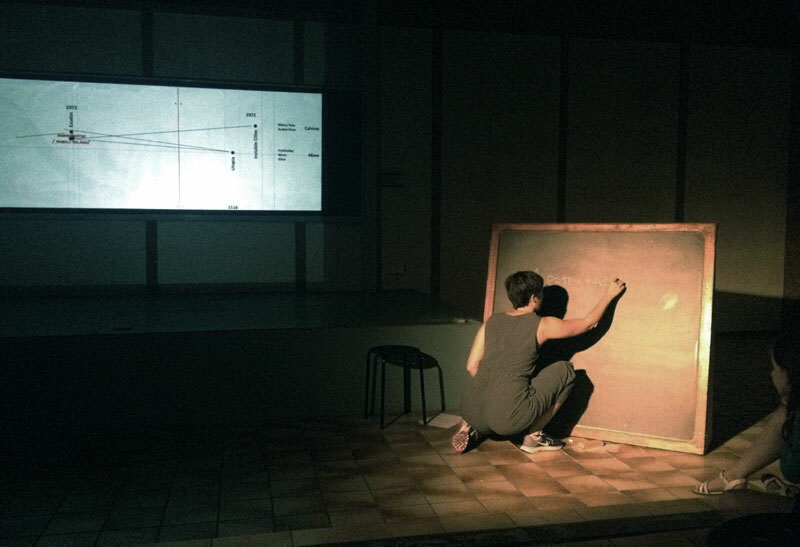 Currently, she is working on the fifth fall, The Fall of a Reed, in which she focuses on the history of papyrus paper making and the narrative of its development from a historical material to a contemporary production which thrives on fluctuating interpretations of nationality and identity. MICHIEL HUIJBEN – (http://michielhuijben.nl/) reads, writes and speaks around the theme of architecture. Perhaps his talks are a way for him to intervene in the (seemingly) rigid and unchangeable architecture of his immediate environment. His latest project examines the work of a particular outsider architect whose (mostly unbuilt) designs from the 70s to the mid-2000s take a peculiar stance on important themes such as sustainability, terrorism and real estate. 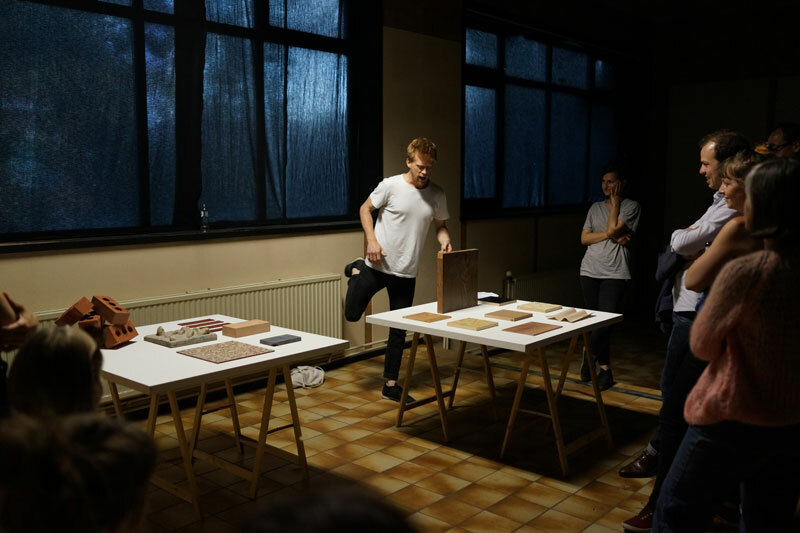 In 2013, Michiel did a short track residency at De Ateliers in Amsterdam, followed by an MA in architectural history & theory at the Cass, London. Shortly afterward, he started the publishing project Flat i.
PAOLETTA HOLST – (http://paolettaholst.info/) is an artist, architectural researcher and writer based in Brussels. Her practice operates at the intersection of different disciplines to investigate the spatial and political dimensions of art, architecture and the urban environment. 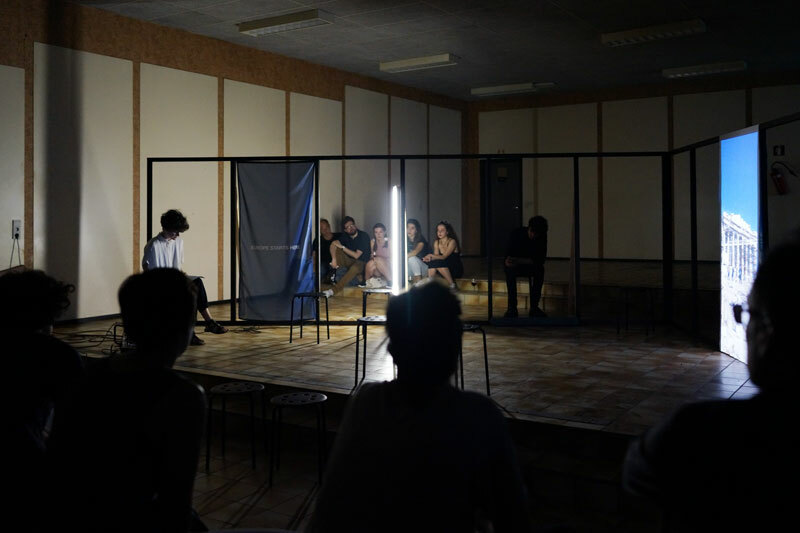 In her work she is interested in the influence of formal spatial/political power structures on our living environment, and in the informal counterstrategies people create to deal with them. Recently she worked as a Jan van Eyck participant on Grand Tour Europa, an artistic research project regarding the spatial understanding of tourism and migration in the context of the politics of cultural identity in the European Union.